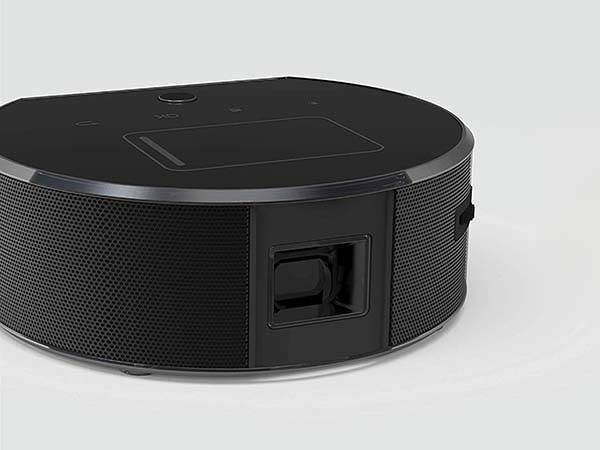 Aiko L8 mini smart Android projector lets you enjoy numerous multimedia content wherever you go, All you need to do is just connect it to the Internet with WiFi connectivity. Like the idea? Let’s have a look. The L8 is an advanced and portable smart projector that measures 4.2 inches diameter by 1.5 inches high and weighs 0.6 lbs. 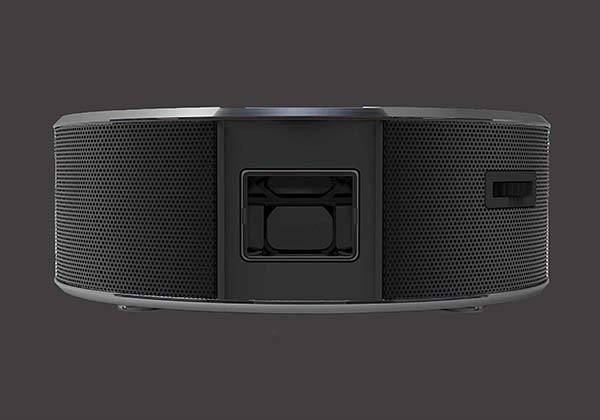 As we can see from the images, the Android projector delivers a low-profile and sleek appearance design. And the ultra compact and lightweight design lets you easily put it in your bag for various outdoor activities. The L8 mini projector supports 768 x 480 WVGA display resolution, and advanced DLP projection technology ensures it delivers high clarity, 50 ANSI lumens and 1000:1 contrast on up to 100-inch screen. Furthermore, the smart projector runs Android 7.1 OS, And using built-in WiFi connectivity, you can easily get various apps and multimedia content from Play Store. It also supports mirroring screen from your phone. Moreover, an integrated micro HDMI port allows it to connect with your laptop, and it works with your USB flash drives and keyboard via a USB port. 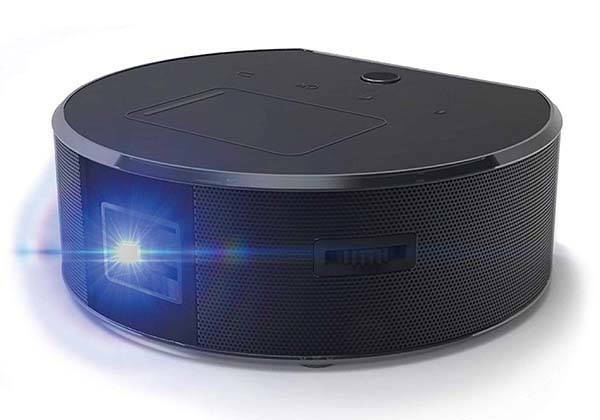 The mini projector comes equipped with built-in speakers, but using Bluetooth technology and a 3.5mm audio port, it also work with external speakers for better audio performance. In addition, built-in 3000mAh rechargeable battery offers up to 3 hours of non-stop video playback between charges. The L8 mini smart Android projector is priced at $199.97 USD. If you’re interested, jump to the product page for its more details.